For Secret Santa this year, I knitted some mittens. I was aware that doing so would definitely give me away as the gift giver, but I just couldn't help myself. Robert needed some mittens! Also, did you know that men's hands are enormous? I'm used to women's sizes, so it was a little bit shocking to watch these giant things keep growing and growing on my needles. 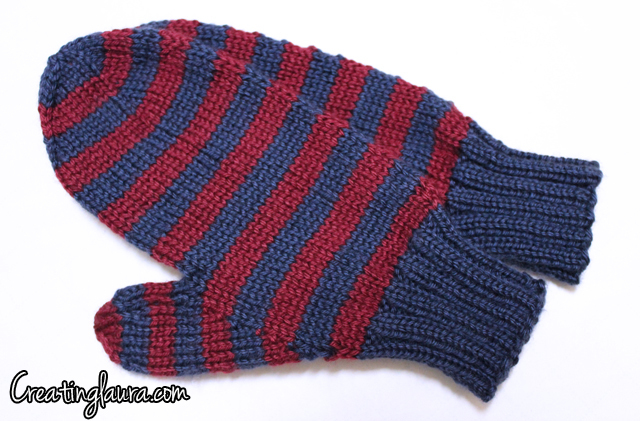 I used the Basic Mitten Pattern from Mittens and Hats for Yarn Lovers by Carri Hammett in the men's large size. 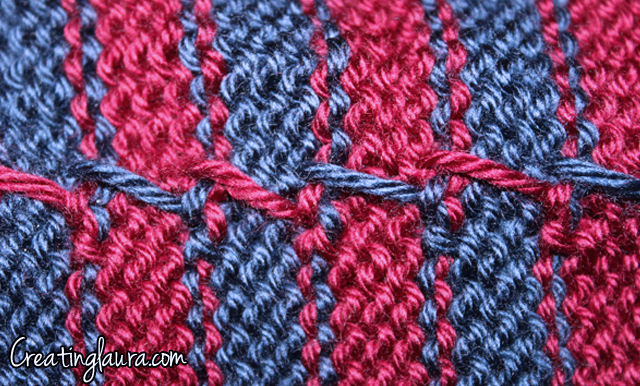 I also added my own flair to the pattern by adding stripes, switching colors every 4 rows. I carried the two colors on the inside of the mittens, and I was happy with how tidy they ended up looking, even when they are inside out. See? 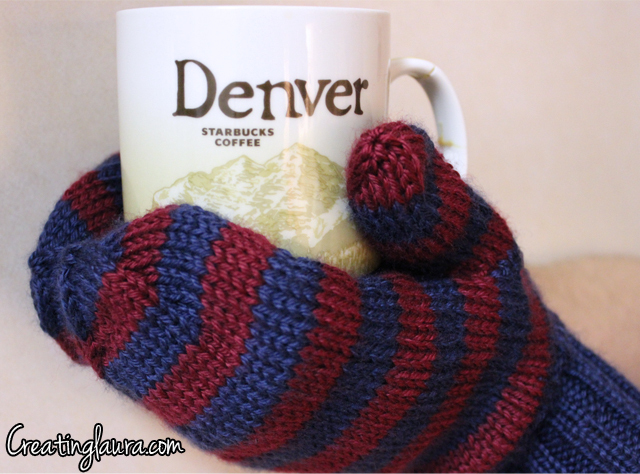 Before I wrapped up the mittens, I had Justin model them for me along with his new Denver mug that his mom gave him for Christmas. Speaking of which, without even knowing it, my mom gave me a matching Hawaii mug for Christmas and the two mugs look great together on our shelf; a happy Christmas accident. Did you knit anything for Christmas this year?